Welcome, sweet ones. It gives us great pleasure to be with you in this Now, in this second year in this new Golden Age of Light, and in this month of March 2014, on the tail end of the equinox energies. 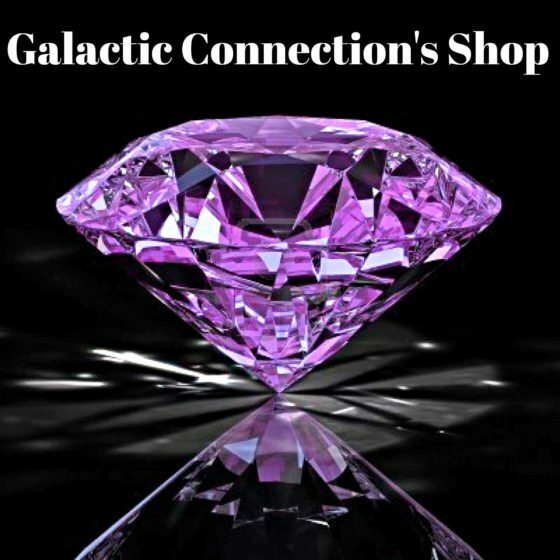 As you entered into this Gateway of Light, sweet ones, connecting to the I AM Presence of every man, woman, and child through your Beloved I AM Presence, you experienced a deeper sense of balance, and empowerment. And these energies of Light that are held in this beautiful Gateway of Light through the Illumined Beings of Light from On High and your Beloved I AM Presence activate the Unity Grid of Divine Love with not only a deeper sense of purpose and balance, but also power, sweet ones. And we talk here of empowerment, we talk here of being able to wield power rather than submit to it, of being able to trust and surrender to the Divine, and to surrender your will to God’s Will; to understand that every single event that occurs on this earth plane and within your life, can be understood with insight, with wisdom, with compassion, as you look through your Master Eyes at all of life around you, sweet ones. Some of these journeys have indeed been quite challenging to bring you to this Now moment in time, and what the Equinox energies provided for you is a greater sense of this shift. This Gateway continues to activate leading up to the June Solstice, and with it, brings with it a deeper sense of your Pathway of Divine Love, sweet ones, of your Pathway of Service, of being able to express the utterance of your spiritual realities, and to stand in your power. And we would like to take you through an experience of a deeper sense of these magnificent energies and this beautiful silver ray of Interstellar Christ Consciousness Overlighting this sacred year of 2014. So let us start, sweet ones, by simply centering, coming into stillness, coming within your heart. You visualize now this beautiful Pillar of Light coming in around your body and energy field, connecting you to all dimensions of Light. As you activate your antakarana, your fluorescent tube of Light, breathing deep through this fluorescent tube of Light, breathing deep into the body, you merge now with your Higher Self of the Light, your Guardian Angel, and all twelve Soul Rays of which you are one. This is your soul family, sweet ones, and there are many of you that are bringing in your soul family at this time for a deeper level of support. There are also those that still feel this sense of being alone, or walking this Pathway of Divine Love on your own, and yet you are not, sweet ones ~ you are embraced always by the Legions of Light from On High, sweet ones, as they walk in front of you, next to you, behind you, and you are magnetizing, manifesting and bringing in to your reality those that truly see you, understand you and appreciate you, sweet ones. And as you merge now with your Beloved I AM Presence and all hundred and forty four Soul Rays of which you are one, your soul and star family and friends of the Light, you have a deeper sense of your star origins, you have a deeper sense of your star family, sweet ones. You have a deeper sense of your soul purpose. And now, as you experience grounding into the crystalline matrix and the crystal heart of Mother Earth, through the 144 Unity Grid of Divine Love, you have a sense too of these vibrant energies of Light around you, activating your Lightbody, these Rays of Light emitting around you ~ reflecting, being absorbed, being activated, these energies of Light, sweet ones, that guide you ever forwards along the Pathways of Divine Love. And as you have a sense now of this Unity Grid of Divine Love, you are surrounded in this golden, diamond and white Flame of Divine Love, coming deeper into your heart, strengthening your connection to your soul and star family and friends of the Light and the knowing, sweet ones, that you are sacred transfiguring Flames of Divine Love, that you are Initiates of Light, and way showers and teachers in this Now, in this Golden Age of Light. As you start to feel this strength, as you start to experience a deeper sense of the knowing of the power that you hold, of the wisdom that you are, sweet ones, you are wrapped now in this beautiful golden Flame of Unity Consciousness. As you start connecting deeper into this Unity Grid of Divine Love, connecting with the lightworkers and star-seeded ones, and all the Beings of Light from on High that you personally acknowledge, you invite them into your sacred space, and as you feel and experience these many beautiful Beings of Light, holding with you the New Earth templates through the Unity Grid of Divine Love. You have this deep sense of knowing that you are One with Mother/Father God, that you are One with all Life. And now, sweet ones, you bring in this beautiful copper-gold Flame of Solar Christ Consciousness. You have a sense of the rays of the sun, the solar flares, the re-calibration of your bodies and energy fields blossoming into a greater sense of your magnificence and Light As this beautiful ray of Light activates around you it energizes your lightbody, it strengthens your lightbody, and starts to spin the sub-atomic particles within the body in this crystalline matrix of Divine Love. And now, sweet ones, you are surrounded in this beautiful silver Flame of Interstellar Christ Consciousness, and the Overlighting in particular now of the Pleiadian Emissaries of the Light, as you come into a deeper level of illumination, insight and understanding, as you start to feel the power moving through the Unity Grid, moving through your body. You see your Divine Masculine Spirit to the right of you now, and your Divine Feminine Spirit to the left of you. In your Divine Masculine Spirit is your spiritual Warrior of the Light, sweet ones, and for a moment he steps in front of you now ~ this is the pathway of dynamic right action, this is the pathway of forward motion. And as you have a deeper sense of your Divine Masculine Spirit, you see what he is clothed in, what armour, protection, he has brought in, what feels comfortable for you to portray ~ this aspect of this loving Spiritual Warrior of Light stands with this Sword of Holy Truth, and brings in now the Shields of Light of Archangel Michael, these electric blue Shields of Light that come in now all around your body and energy field, protecting you, taking you into greater levels of truth and justice. And now your Divine Feminine Spirit, sweet ones, this aspect of your loving consciousness, for a moment stands behind you, and places both her hands upon your heart chakra. As you feel this deepening connection into your soul matrix you have a look at your Divine Feminine Spirit, what she represents for you in this Now ~ a high priest, or priestess ~ what other role is being played out and accessed, and you see the appropriate garments, sweet ones, the appropriate attire that takes you deep into the knowing of this service. You are the Warrior of Light, sweet ones, and you feel this ~ you feel this strength, this power, pulsating through your body, amplifying your energy field into a greater magnificence of Light. This is a powerful moment in time, sweet ones, and you are stepping into a greater level of your power as you walk this Pathway of Divine Love. And you do so through a greater level of trust and surrender to the Divine, and an understanding too of God’s Will ~ every lesson that you choose, through your soul contract, can be played out through your freewill or through God’s Will, sweet ones. As you trust and surrender, as you forgive and Love, you walk this Pathway in both the knowing that you are this vibrating, magnificent Light Being, assisting in creating this Pathway of Divine Love for all life on this earth plane. And sometimes this is done in creating these Pathways of Light that come through the karmic timelines, and the reason you choose these contracts, sweet ones, is because you are so brave and courageous and these lessons create deep change within you, so you can truly know and experience yourself always as these sacred transfiguring Flames of Divine Love. And your pain and your sorrow and your loss and your heartache ~ these are very real emotions in this spectrum of Love, for when you embrace these emotions in Love, sweet ones, you come into a deeper understanding of why you have chosen these lessons, you come deep into humility, into forgiveness, into letting go of blame, into acceptance and peace. And the time is coming when you no longer need to experience these challenging Pathways, as you walk a greater level of this increased Light frequency you find too that you are now walking with others beside you. This Pathway has often seemed very lonely, and now as it is illuminated in this beautiful silver Flame of Light you see not only your Pathway of service work, sweet ones, but that you are supported on every level of your Beingness. There are others walking this Pathway with you now, and you feel and sense these beautiful souls that are helping you in your service work, as you are helping them. Collectively you are creating this vibrational frequency of Unity Consciousness for all life. And now you have a sense of these Portals of Light, these 33 Stargate Portals of Light that take you into a deeper connection of your God-Selves, that amplified this Pathway of Divine Love to activate more deeply within your hearts as you experience these fifth dimensional frequencies and a deeper understanding of these Spiritual Laws of Light. And you find yourself now in this group Merkaba Vehicle of Light with many friends, some of whom are acting as a surrogate for some, and that are already on this journey with you, sweet ones, and they choose to walk beside you, they choose to follow you, for they see your heart, they see your Light, they see your goodness, and they see your strength. For you are needing to be strong, this is how you create and effect the change that you need to experience within your lives and within the One Reality of All that Is. And you now find yourself moving through the timelines, the Christed Timelines, through the Overlighting of all these Illumined Beings of Light and your Beloved I AM Presence, and you find yourself now, sweet ones, in this beautiful Stargate Portal of Light, the seventh Stargate Portal which follows the Law of Vibration. Everything in the Universe is in motion, in vibrating frequency, and right now you are vibrating at this beautiful frequency of Divine Love and alignment to Mother/Father God. And you see all around you too within this Stargate those vibrating in this same frequency, or perhaps even a higher frequency ~ the same thought-forms and consciousness. This is a like vibration, sweet ones, this is where you gather your strength in coming together energetically and physically, in your groups and in your service work. And it is to understand when there are non-resonating vibrational frequencies around you, that there is a way to work with this too, to bring in your Shields of Light, to allow the Spiritual Warrior to walk in front of you, your Divine Masculine Spirit, to allow these aspects of yourself to remain in Love. You have a deeper understanding that a new balance is coming and that you are finding your voices in union as the I AM Avatar race, sweet ones, and you have a sense of this collective consciousness of Light. You have a sense of all the magnificent activities of Light that are taking place energetically on this beautiful sacred planet on which you exist, and walking the Pathway of bringing in this like vibration and the support. 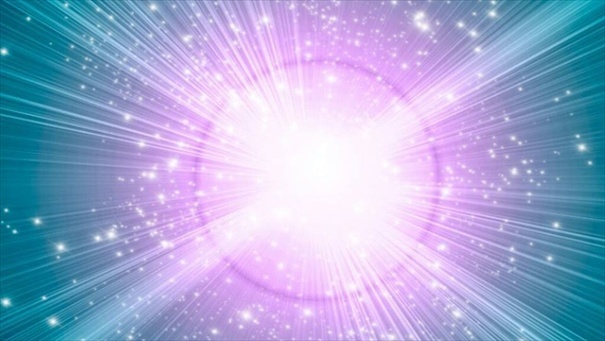 Knowing that whatever your vibrational frequency is, whatever you are vibrating in thought-form, in consciousness, in energy, this is what you are attracting back to you, and right now your energy field is being amplified a thousand fold through the incoming Stellar Energies, Photonic Rays, and Gateways of Light, sweet ones. And you are now offered an opportunity to activate the Cosmic Christ Holographic Disc within the spine related to this Stargate Portal of Light; and you are led into a central Temple of Light as you now activate this silver Cosmic Christ Holographic Disc along the spine. This recalibration takes places through the cerebral spinal fluid, through the chakras, the nadis, the meridians, and from here now, through the pituitary, pineal, and hypothalamus glands. And it is the pituitary gland that activates most at this time, sweet ones, as it brings a greater level of insight and understanding and wisdom as to the knowing of this Pathway that you are walking intuitively and collectively now. You find yourselves entering now into this next Stargate Portal; this eighth Stargate Portal of Light follows the Law of Action. It is to know, sweet ones, that no matter how gifted you are, within the Stillness action can still take place. It is more the energy of the Divine Masculine aspect of yourself, but it is important in having a focus as to what you truly wish to do in your life, what brings you joy, what activates your Heart’s Dreaming, and to take the appropriate action doing so with integrity, without projection or expectation, without judgment. Taking this Golden Key and opening the door, flowing intuitively into the next level of your service work, for this is what is happening to you, you are being directed and guided to where you can best serve on this earth-plane, sweet ones; and it is an open door, as you are the open hearts, and this resonating frequency requests this dynamic right action. And these gifts are not just in forward motion, they are also connected to the aspects of yourselves that allow you to feel this courage, this commitment to allow you to move forward beyond the perceived separation or disillusionment, this too is action, sweet ones, it is spiritual action. It is embracing and loving yourselves, it is working on yourselves, and so this movement is both inward and outwards, and in a flow and harmony and dance that brings the intuitive and creative aspects of yourself through the Divine Masculine and Divine Feminine Spirits into a greater level of wholeness and balance. And you see here in this beautiful stargate those that can support you ~ those that are your teachers, and friends and soul and star family, and others that you can connect with to deepen your service work; that you can be assisted by, and you find, too, ways that you can assist others, as this Service in Love, sweet ones, and you take this time to experience a deeper sense of this inter-connectivity, this support, through your beautiful friends and family of the Light. And now, sweet ones, you are taken into this central Temple of Light within this Stargate to activate the eighth Cosmic Christ Holographic Disc. As this disc activates within the spinal column within the vertebrae of the body, you bring a greater sense into the body of this Law of Action, experiencing this recalibration physically and energetically, with a deeper sense of knowing of your service work. Lastly now, sweet ones, you find yourself in this ninth Stargate Portal of Light within the New Earth Templates of Light, again with your soul and star family and friends and the Illumined Beings of Light from On High that you personally acknowledge. And you feel this Love and this support, and within this Stargate Portal of Light there is this sense of simply Flowing, through the Spiritual Law of Divine Flow. Living in the moment, living in the Now, in acceptance, you are able to accept this flow that creates Love, willingness, and allowing yourself to open your heart deeply to others, so you can follow the intuitive guidance given to you, not only by your Beloved I AM Presence, but in the streams of consciousness that activate through these Portals of Light, taking you ever deeper into your Heart’s Dreaming in the co-creation of Heaven on Earth. You see where there is resistance within your lives, sweet ones, you see where there is a lack of flow and you use the energy of this stargate to deepen this flow within your life, through this trust, this surrender. As you are taken into this Central Temple of Light now, and you activate this Cosmic Christ Holographic Disc within the spinal column and along the vertebrae. You have a deep sense of simply trusting and surrendering to the Divine, of accepting what is going on in your life, of completely letting go, and letting God ~ of aligning your will to the Will of God; knowing, sweet ones, that whatever you are experiencing has been chosen by you and your Beloved I AM Presence for the highest good of all. These lessons, both the shadow and the Light, take you deep along this Pathway of Divine Love. You move beyond the veils of illusion and you remain steadfast in the Light, sweet ones. For longer periods of time now, you feel your strength, you feel your wisdom, you feel your Light, as you are surrounded once more by this beautiful silver Flame of Light: and now the beautiful violet Flame of Transcendence activates around the Unity Grid. This violet Flame of Transmutation allows you to assist in letting go of all that you no longer need to work with now, through the karmic timelines and to do this too for other souls if they so choose this at a Higher Light level. To feel nurtured and loved ~ and you bring your hearts and minds, sweet ones, into the collective Consciousness of Light, joining now with the hearts and minds of the Beloved I AM Presence of all humanity, and you allow them to experience these Stargate Portals of Light that have been activated, you allow them to know this feeling of Love, this ability to create and co-create with the Company of Heaven, the knowing of power, of empowerment, of wisdom, of Love, sweet ones. And now you find yourselves traveling back in this beautiful external Merkaba Vehicle of Light to your sacred space, feeling this connection through the Unity Grid to all life, sweet ones ~ wrapped once more in this beautiful silver Flame of Interstellar Christ Consciousness, this beautiful copper-gold Flame of Solar Service and this beautiful golden Flame of Unity Consciousness, and now this beautiful diamond, golden and white Flame of Divine Love, as all life is embraced more deeply within the Cosmic Heart of Mother/Father God. You have a sense of knowing how very real this is, sweet ones, this ascension process, your Journey into the Light, this collective journey, and how you are joined now by many awakened souls ~ for you are the courageous spiritual warriors, and sacred transfiguring Flames of Divine Love, and you lead the way in this Golden Age of Light. We thank you, sweet ones, for your service work, and we bless you and with this we bid you a most magical day. NextDoctor Say’s Chemotherapy is a Waste of Time and Money for Cancer…!